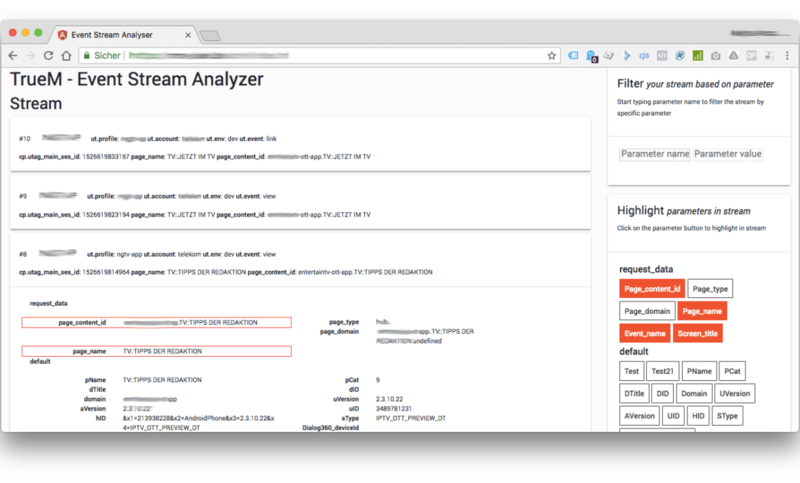 TrueM Event Stream Analyzer got a new User Interface for the first customers. The new UI allow users focus on comparison parameters through the incoming event stream. By using modern technology like NodeJS in combination with Socket.io, as well as dynamic UI frameworks like AngularJS 4, Bootstrap and Material Design, we are proud to provide this update our clients, who singed for the beta test program.